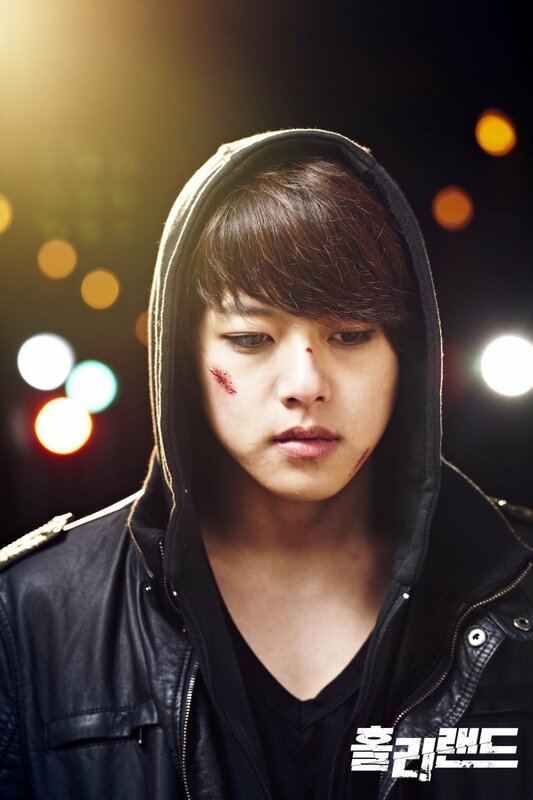 HomeExclusive[EXCLUSIVE] Interview with U-KISS Dong Ho on Holyland, "I'll always try hard to live up to your expectations"
Fans of Korean dramas, especially series that feature action scenes, are in for a real treat this December! Bringing across Asia and around the world with the best of action, KIX (StarHub Cable TV Ch 518) and KIX HD (SingTel Mio TV Ch 54) will be premiering ‘Holyland‘, a 4-episode TV series starring Shin Dong Ho as the main lead on December 5th (Wednesday), 9pm. 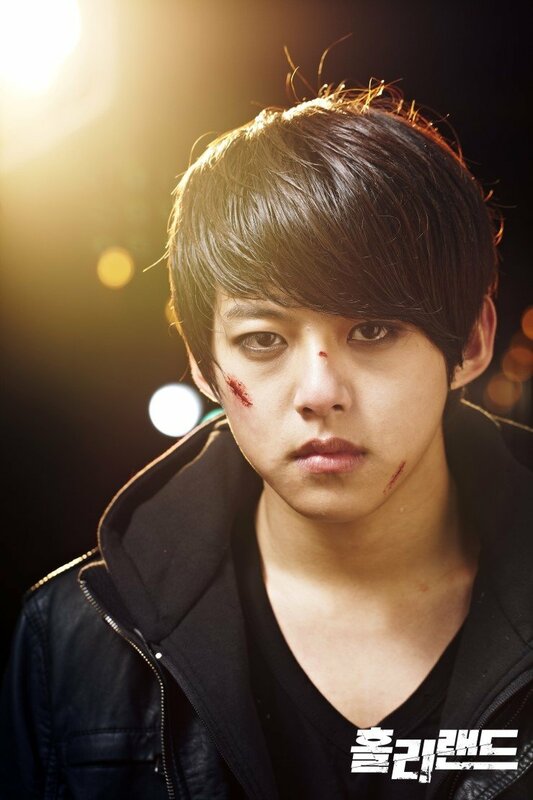 U-KISS member Dong Ho stars in this action-packed series as a rebellious high school student (Kang-Yoo) who find himself unable to fit in at school or at home. Inspired to learn boxing to defend himself, Kang-Yoo begins to pick up the basic skills of boxing from a book and ends up rebelling against society in the streets. As the storyline progresses, Kang-Yoo starts to discover his true identity and experience love & friendship along the way. Read on to find out the thoughts of Dong Ho acting in ‘Holyland’, as he sits down for a quick interview to answer some of our questions and leaves a short message for his fans in Singapore. Q: What is your first reaction when you heard about your casting as the male lead in ‘Holyland’? Any concerns or worries about acting in the TV series? DH: I read the manga to study the character. I can’t give myself a high score since there’s still a lot for me to learn, but I’ll try to be a better actor. Q: What are some of the challenges that you faced while acting as Kang-Yoo in ‘Holyland’? How did you overcome them? DH: I felt like I was Kang-Yoo himself while acting out this role. Of course, I’m not like him in real life. Q: What are your feelings after watching the first episode of ‘Holyland’? DH: Actually, I like the opening because it captures what Kang-Yoo is all about. 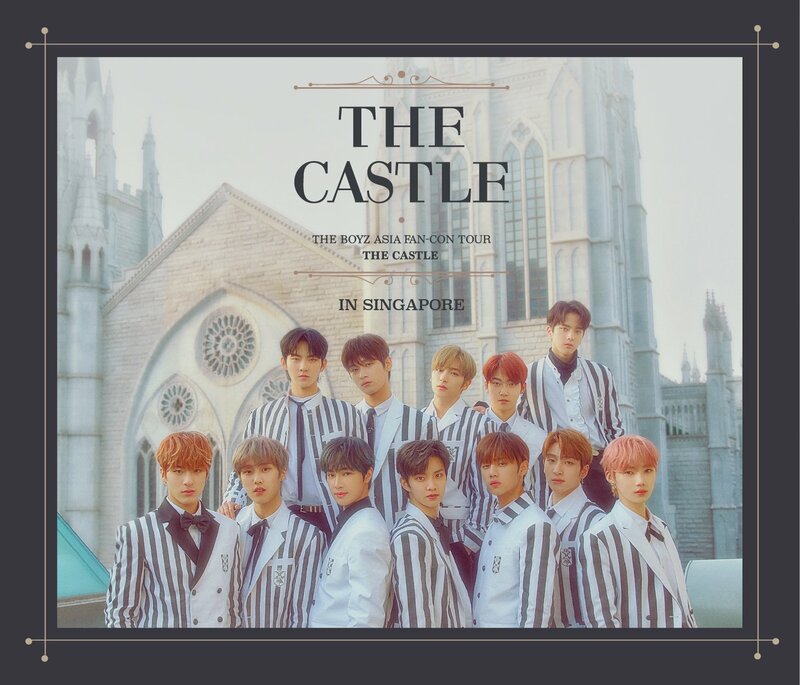 Q: Understanding that the first two episodes of Holyland have achieved a 1.25% and 1.8% respectively in viewership ratings and generated high responses on various search portal sites. How do you feel about it? DH: I just want to give in my best. Q: The image that you have portrayed in ‘Holyland’ shows a complete 180 degree transformation from your usual persona. 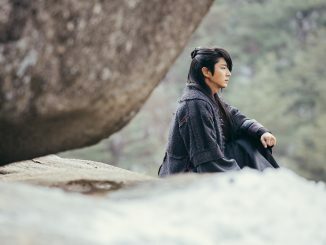 How would you describe the character of Kang-Yoo and are there any similarities (in terms of yourself and the character) you can relate to the role? DH: Kang-Yoo is a shy outsider both at home and in society. He teaches himself boxing using an old boxing textbook. We don’t have a lot in common. He’s kind of shy and dark but I’m not. Q: As the storyline moves on, we can gradually see a transformation in the character of Kang-Yoo. How do you ensure that you deliver the right emotions to fit into the different scenes? DH: Sometimes I had to dig deep in myself for some scenes. I feel like I’m beginning to understand what acting really is. Q: In the teasers of ‘Holyland’, you have shown your fighting prowess to the viewers. Are you trained in any form of martial arts? Q: Before you debuted as an actor, is/are there any senior(s) who gave you any memorable piece of advice related to acting? DH: I learned a lot from my seniors Seong Woong and Yoon Bong-Kil who also acted in ‘Holyland’. They pinpointed things that I’ve done wrong and taught me valuable skills on acting. Q: How about the cast in ‘Holyland’? How do you feel about working with them as well as your fellow U-KISS member Hoon? DH: I have a fight scene with Hoon and I won! He does Taekwondo, so in real life, I’d never be able to beat him. Beating him in the show was fun although it wasn’t real. Q: Reviewing your performance in ‘Holyland’, many have agreed that you have a flair in acting. Would you consider to be a full time actor? DH: No, not exactly. A star isn’t made solely on one’s own efforts. There are so many people working hard behind the camera. Becoming a star isn’t easy. Q: If you were to choose between the acting field or singing career, which one will you pick and what will be the reason? DH: I still have a lot to learn. Singing is what I’ve been doing for a long time, but acting is new, so it kind of makes me nervous. I just want to do my best. Q: Fans have been concerned about your recent hospitalization due to lung issues. Putting aside your schedules, are you getting lots of rest and anything to say to your fans? What are some of your upcoming plans that fans can look forward to? DH: I was very sick at that time but I’m fine now. Don’t worry and thank you very much for your concern. I hope that fans can look forward to my new movie, ‘Don’t Cry Mommy’. It’s my favourite movie. Q: Last but not least, what would you like to say to the viewers who are anticipating to catch this action-packed series when it premieres on KIX and KIX HD on December 5th, 2012? DH: Hello, fans in Singapore! Thank you very much for your continued support! ‘Holyland’ will soon air in where you live. I hope you’ll watch the drama and love it. I’ll always try hard to live up to your expectations. I love you all! ‘Holyland’ will begin its exclusive premiere via KIX (StarHub Cable TV Ch 518) and KIX HD (SingTel Mio TV Ch 54) on December 5th (Wednesday) at 9pm. Make sure you tune in to the above channels on time to catch Dong Ho in action! 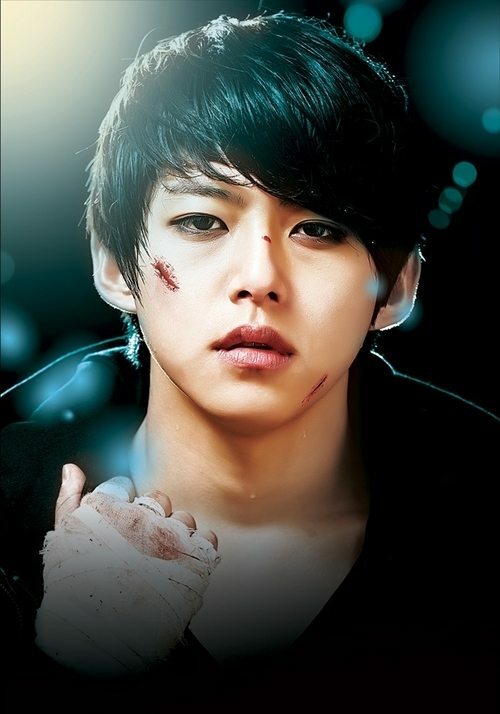 His fighting prowess and acting skill is really impressive I say, and of course, having already watched the drama, I also love the scenes where Tae-Sik (acted by U-KISS member Hoon) made his appearances in the series! But that’s enough for me to say, and for you to find out! Special thanks to SPRG for facilitating the interview process with Dong Ho, as well as KIX and KIX HD for the images in this post. No copying or redistribution of content is allowed without the prior consent of HallyuSG.